15 types of granite and 15 different quartz materials that we can offer our customers for their Stone Worktops at a flat price across the whole range. This enables us to price jobs by a plan or from dimensions and provide you with a quote for any colour out of the 30 to fit your new colour scheme. These materials are most cost-effective for our Stone Worktops. 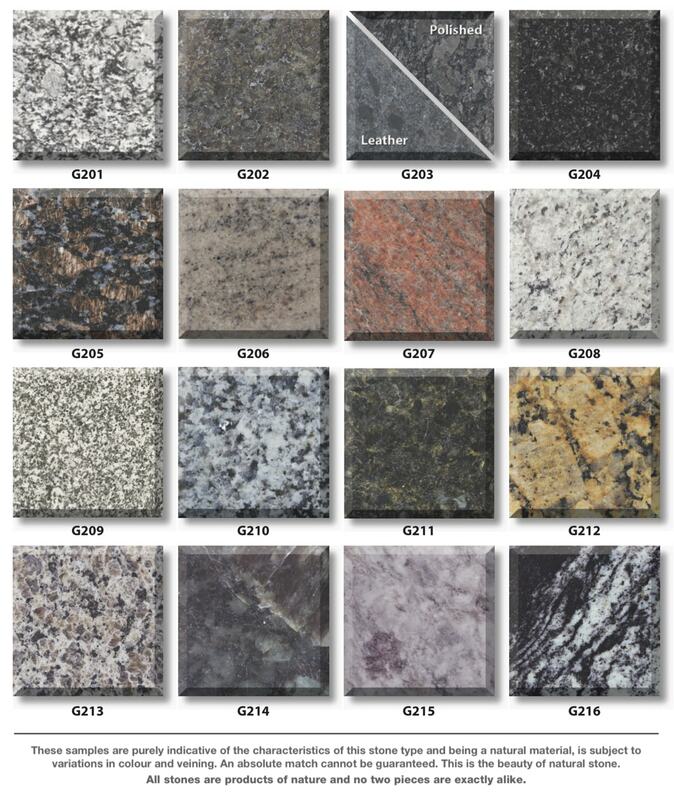 Granite and quartz work surfaces are now affordable for all. 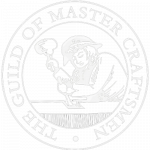 We aim to leave every customer we have delighted with their stone worktops. 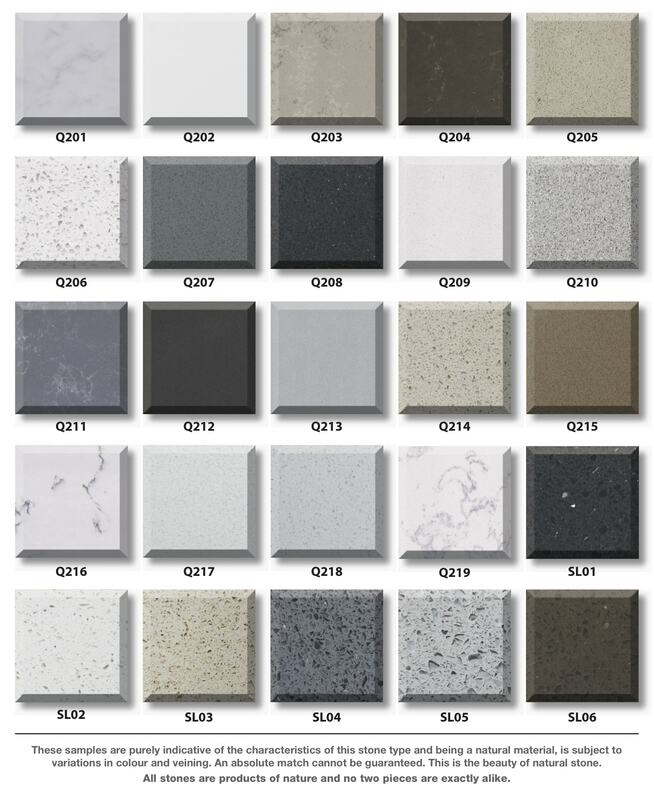 Below we have provided images of the colours and finishes for our Stone Worktops available in granite and quartz. Griggs Masonry also provide a range of granite, marble and quartz worktop repairs to customers across Kent, into Bromley, Bexley, Sidcup, Sevenoaks and beyond, so wear and tear on your solid stone surfaces should never be an issue.